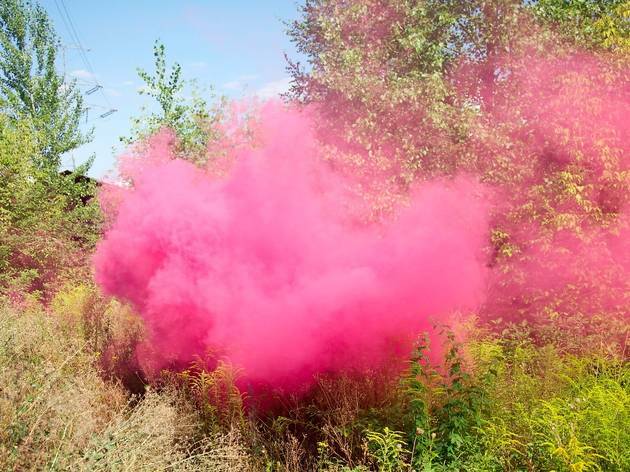 Italian photographer Filippo Minelli lands in Barcelona thanks to Loewe Gallery. 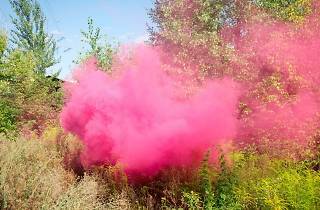 Smoke bombs like those used in demonstrations and political protests are one of Minelli's tools. The artist uses colours and unusual and romantic landscapes for these explosions of colour bursting with violence and silence.